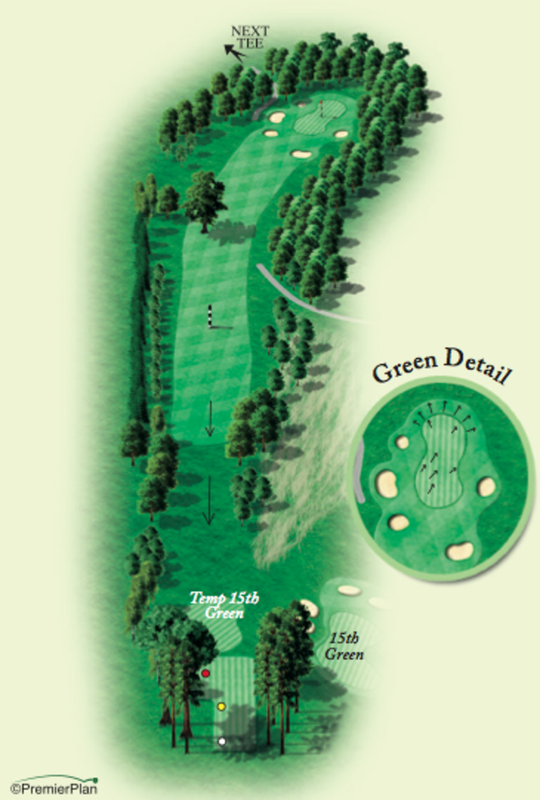 To achieve a good score on this stroke index two hole, it is important to hit a long accurate tee shot through a narrow opening with trees either side towards the marker post. The second shot to the green must be carefully considered as beyond the marker post is a large oak tree which is positioned in the left centre of the fairway. 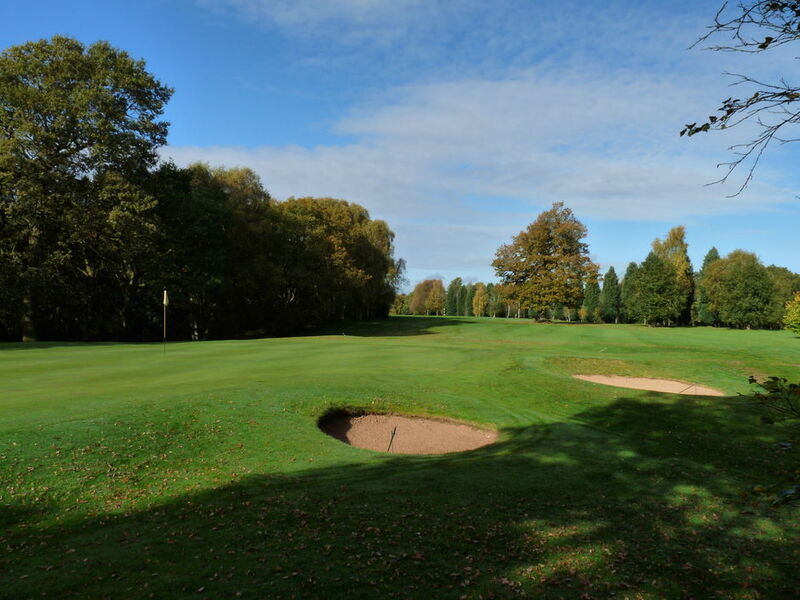 The green is well bunkered to the front and both sides with a picturesque woodland surrounding.